Approximately one in three therapy clients take psychotropic medications. Therapists, who typically see clients more often than do prescribers, benefit from knowing how medications are used; what to expect from medications; and how to evaluate effectiveness. During this CE presentation, I will review medications used in the treatment of anxiety, PTSD, depression, and bipolar depression, using cases to reinforce key concepts and medication selection. I will also review the newer antidepressant medications. 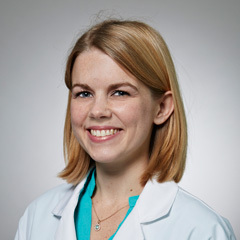 Elizabeth Alfson, MD is a graduate of Princeton University, University of Virginia School of Medicine, and Harvard Longwood Psychiatry Residency, where she served as chief resident at the outpatient department at Beth Israel Deaconess Medical Center. She is a psychiatrist at Harvard Vanguard Medical Associates (Atrius Health) in Peabody and also has a private practice in Reading where she offers both medication management and psychotherapy.